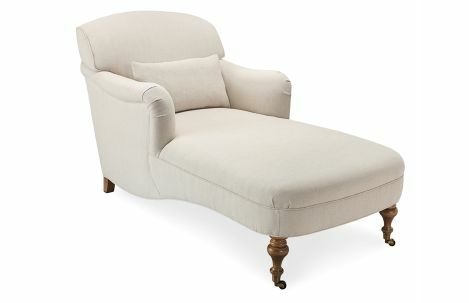 Upholstered chaise on wooden legs on casters. 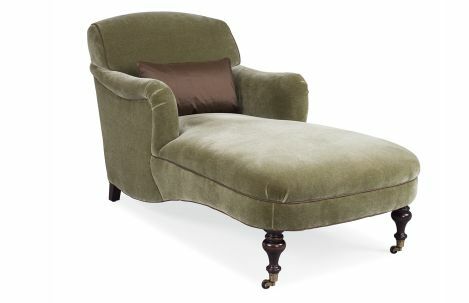 Upholstered chaise on wooden legs on casters. 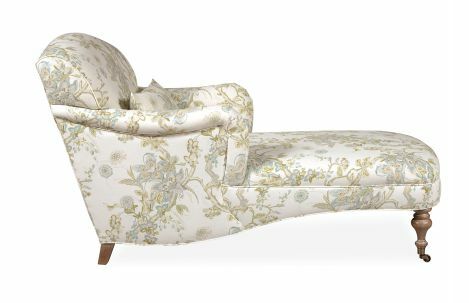 Available in fabric or leather options. Standard (1) 13” x 22” throw pillow. Optional blind seam on throw pillow.